Nehemiah was the king’s cupbearer. And since he was always busy serving the king, he had little contact with or news of his people in Israel. But one day he saw one of his brethren who had come with men from Judah, and he told him the bad news—that his people who were in Jerusalem were in great distress and that the walls of the city were broken down. 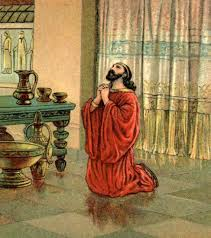 Nehemiah was greatly disturbed over the news, and he sat down and wept and mourned for many days, fasting and praying before God. Notice that in his prayer he asked God to be attentive to hear him pray day and night, and to notice that he was confessing all the sins of Israel (and he included himself among the sinners). He asked God to remember His covenant with Israel—that if they return to Him and keep His commandments He would gather them together and bring them home (to the land of Israel). Last, He prayed that God would make him prosper and grant him mercy. For his heart was to go and help the people rebuild the city walls and that the king would give him permission. Well, as we will see in Nehemiah’s next prayer, the king did indeed grant him permission. 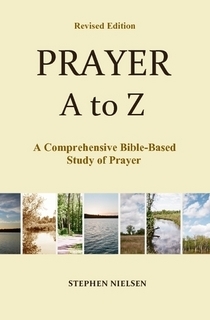 This entry was posted in Prayer A to Z Excerpts, Survey of Prayer and tagged answers to prayer, prayer, prayers of Nehemiah. Bookmark the permalink.